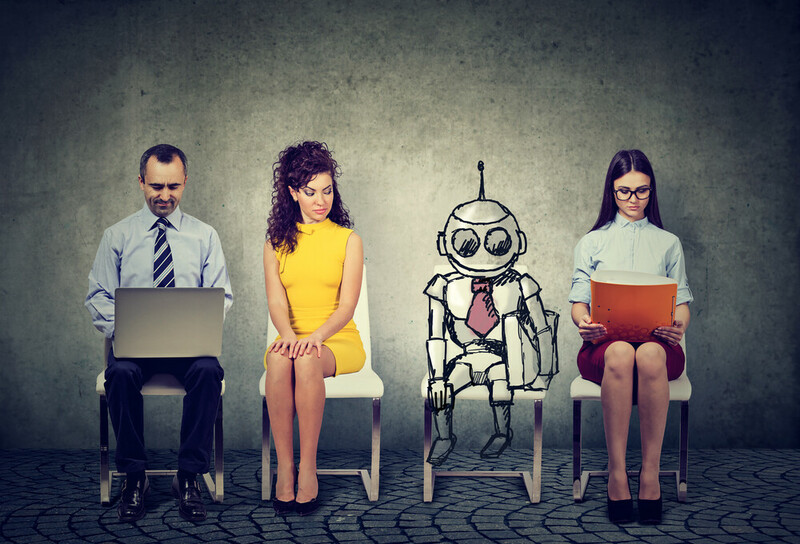 With employee retention drastically declining, artificial intelligence and predictive analytics tools could be the key to helping employees stay satisfied. Employee retention has been a problem for employers for years. It has become an even more serious concern in recent years, as concerns about job security and atrophying employee loyalty has caused more people to seek new employment. Over 3 million Americans quit their jobs every month. One poll from Bamboo HR found that 31 percent of employees quit a job within six months. Employers in all industries are looking for new ways to reduce turnover. They have recently discovered that artificial intelligence (AI) can help them meet this goal. How is AI helping with employee retention? Understanding the frustrations employees face and implementing sensible solutions is key to reducing turnover. The good news is that artificial intelligence can help with many of these problems. Let’s take a look at some of the ways that AI can be invaluable to your employee retention strategy. According to one report from International Data Corporation (IDC), one of the biggest reasons that employees leave their career is that they feel they are spending too much time on mundane tasks and not enough time working on more important things. Finding a system to automate routine tasks is a good way to improve employee morale. They will be able to focus more of their attention on tasks that offer more job satisfaction, which inevitably leads to less turnover. Artificial intelligence can help with this in many ways. One entrepreneur I know owns a digital marketing studio. He uses contextual paid traffic to generate leads for his clients. A huge part of his job is finding website domains in relevant verticals to promote his offer is on. He outsourced the link harvesting responsibilities to contractors in other parts of the world. He discovered that most people were not too excited with this task. In order to keep his contractors from feeling burnt out and leaving, he realized that he needed to find another solution. Fortunately, there were a number of artificial intelligence applications that helped him automate this process. He found a tool that let him scrape domains from Google Places listings to do this job much faster and with fewer human hours. This gave people on his team more time to focus on more meaningful aspects of the job, which significantly increased employee morale. This likely prevented many of his contractors from leaving. Many employees feel their employers are tone deaf to their concerns. There is often a lot of truth to this sentiment. Too many employers make the wrong assumptions about their employees’ top concerns. They often believe that offering higher salaries is sufficient to improve employee satisfaction, which is rarely the case. Many brands have found that more personal gifts tend to work better, which is something they wouldn’t have known without collecting data and building a predictive analytics algorithm with it. Conducting a regression analysis on employee resignations with new policies or other events that could explain their decision to leave the company. Aggregating social media data from employees in other organizations in the same industry. This can help them identify reasons employees publicly state for their decision to leave their positions. Analyzing survey data from exit interviews or regular employee feedback that is collected. These predictive analytics models are still in their infancy. However, they are already providing excellent insights for companies that want to reduce turnover. Improving the performance of your company is both a more direct and more effective way to boost morale than either of the approaches listed above. Employees are going to be far more enthusiastic about working for a company that is growing steadily and offers good financial security. They also will feel more confident working for a company that has a strong reputation in their social circles, because they will be proud to tell people about it. There are many ways that artificial intelligence can help your company grow and improve your profitability metrics. You just need to understand the industry and the ways that AI can aid you. Employee retention is a top concern for every growing business. The good news is that there are many ways that they can use new advances in artificial intelligence to address them.